The Hidden Costs of Developing A Mobile App You Should Be Aware of – Sig Nordal, Jr.
App development is a tricky thing. If you’re not thoroughly aware and prepared, you can easily end up spending more than you should. Worse, you can end up with an unfinished project just because you ran out of funds. Yes, you need to pay certain fees before you can release or publish your app. There’s the fee for registration of developer account and fees for each transaction. Let’s talk deeper about them. The cost of registering the developer account to publish your iOS app is $99 annually. That is if you sign up as an individual or organization. In case you represent an enterprise that wants to create a proprietary app it can distribute among its employees, you’ll have to pay as much as $299 annually. Don’t forget about transaction fees as ignoring them may lead to a lesser return. Transaction fee in the App Store is 15% from any purchase. This means if your application, subscription or in-app purchase costs $10, you will get only $8.50 in profit. Google has a better price policy for registering developer accounts and a more complicated policy for transaction fees. To open a developer account, you’ll have to pay $25 once to get an eternal access to it. Concerning transaction fees, Google charges 30% from each purchase ($10 = $7). However, subscriptions are kind of an exception. Google charges a standard 30% in the first year a customer uses the app subscription. After the first year, this fee decreases to 15%. The Amazon Appstore is a nice alternative app store for your Android app. It has a clearer pricing policy compared to the previous two stores. Registering as a developer and publishing your app is free. Besides, Amazon charges 30% fee for each transaction. If the application you work on deals with processing and storing various data like videos or photos, pay due attention to this aspect. The more customers use your app, the more space (read: money) you need to store all their data. For example, Facebook spends an overwhelming $1.5 billion each year to store the data of its users. The majority of existing projects choose Amazon S3 for this purpose. The service is absolutely free right out of the box. You have to pay only when the app will require more than 5 GB of storage space, 15 GB of data transfer, and several other parameters. The data storage isn’t the only expense. Amazon charges payments for different data manipulations as well. When developers build a mobile app, they use a variety of third-party solutions, like libraries and SDKs. They help to reduce the time required to implement a certain feature. The majority of those solutions are absolutely free but some of them come with certain limitations in their free versions. Sometimes, these limitations can interfere with what the project needs. For instance, you need an advanced search in your app with filters by time, region, location, and other parameters. Your team of developers can build that feature on their own but it’ll take much time. Let’s say the team estimated they need 100 hours to implement that feature. If you multiply 100 hours by the developers’ hourly rate ($50-250, depends on a region), you will end up paying a lot for just one feature. So, in many cases, it’s much cheaper to pay for a solution with a ready-made feature you can customize according to your project’s needs than build it from scratch. However, if you know exactly what you need and don’t need, you can actually cut down on your expenses. You can also allocate your budget properly so you don’t end up abandoning your project. 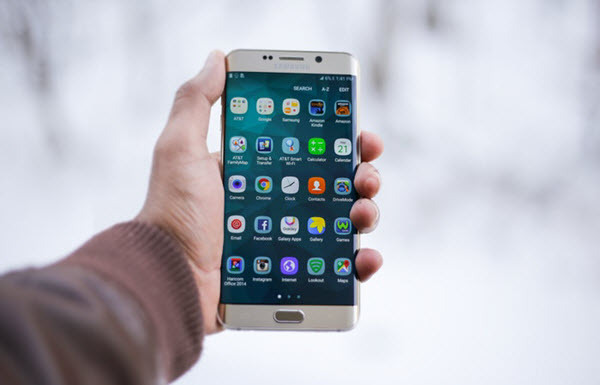 The post The Hidden Costs of Developing A Mobile App You Should Be Aware of appeared first on Dumb Little Man.